The Obama administration is doubling-down on the promotion of climate hysteria. They just released a report claiming that the buildup of carbon dioxide from fossil fuels is “disrupting” the Earth’s climate. This is more of the same nonsense we have been subjected to for years. First, they called it “global warming.” But there has been no rise in the mean global temperature for nearly eighteen years. So alarmists began talking about “climate change.” Evidently that wasn’t scary enough, so now we have “climate disruption.” The ludicrous claim is that every inimical weather event, whether its heat, cold, drought, flood, snow, hurricanes, or tornadoes, is caused by the combustion of fossil fuels. We might be inclined to take this issue more seriously if the environmental movement did not have a long history of false and fanatical doom-mongering. In his 1968 book, The Population Bomb, Paul Ehrlich predicted that hundreds of millions of people would starve to death in the 1970s. They didn’t. Per capita food production for the world has been steadily increasing for more than fifty years and we currently have an epidemic of obesity. In 1971, the Washington Post warned that the world was “as little as 50 or 60 years away from a disastrous new ice age.” Is anyone regretful now that we did nothing then to ward off this fictitious threat? The back cover of a 1977 book, The Weather Conspiracy, warned that a new Ice Age was imminent because “from all over the world,” there had been “frightening reports of unusual climate occurrences.” Then, as now, these imaginary climatic disruptions amounted to nothing more than routine weather. There is no evidence that our planet’s climate is changing. Through 2013, global cyclone and hurricane activity is near a forty-year low. 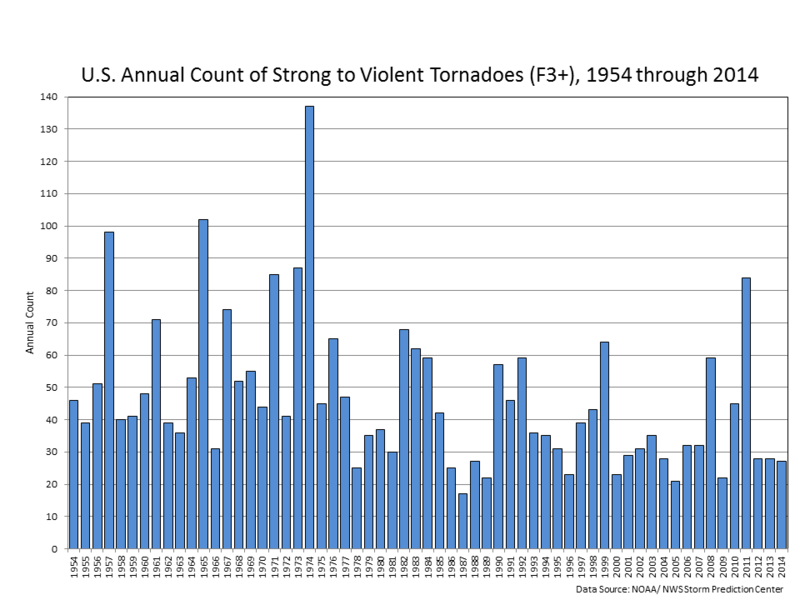 Since the 1950s, there has been no increase in F3 or stronger tornadoes in the US. A 2012 review in the preeminent scientific journal Nature found “there has been little change in drought over the past 60 years.” The frequency of wildfires in the US is not increasing. We have been repeatedly told that the polar ice caps are melting. But as I write, the areal extent of global sea ice is above the thirty-five year mean. What is Obama’s ingenious solution to the non-existent problem of climate disruption? He wants the US to stop using fossil fuels and switch to solar and wind power. But there are no substitutes for fossil fuels. Renewable energy sources such as solar and wind are intermittent and have low power densities. These limitations are inherent in the laws of physics, not politics. In contrast, coal, oil and gas are concentrated and abundant sources of reliable energy. Both the US Energy Information Administration and the International Energy Agency estimate that fossil fuels are going to continue to supply 70 to 80 percent of the world’s energy for the next several decades. While the rest of the world continues to burn coal unabated, Obama’s EPA is implementing draconian regulations that will put most coal-burning power plants in the US out of business. The estimated cost to the US economy will be more than $50 billion a year. The cumulative expense through the year 2030 is estimated to be $859 billion. What do we get for $859 billion? US emissions of carbon dioxide will be reduced by slightly less than 1 billion metric tons. That sounds significant unless you know the basic arithmetic of the terrestrial carbon cycle. 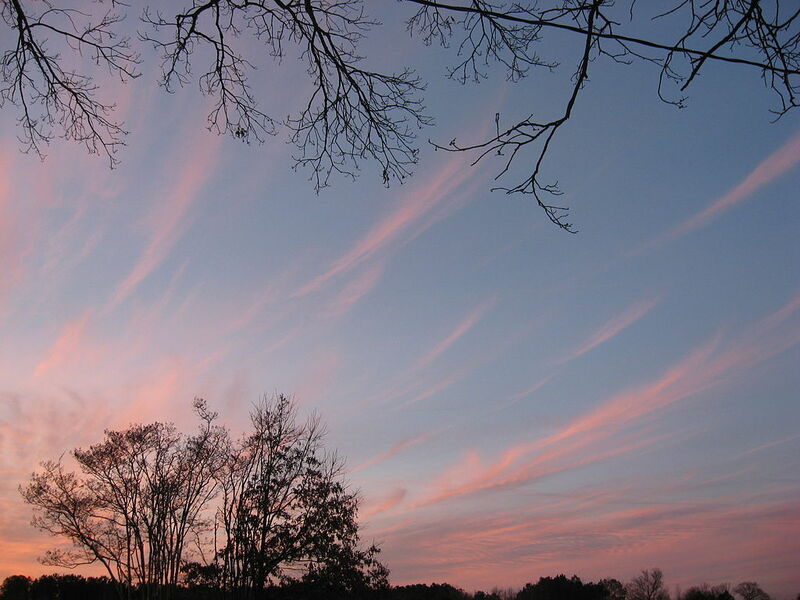 The Earth’s atmosphere holds 720 billion tons of carbon and the oceans contain 38,400 billion tons of carbon. Every year, soils release 100 billion tons of carbon into the atmosphere, and the oceans absorb and release about 90 billion tons. The greenhouse effect cannot be regulated away. The net effect of the EPA regulations will be to reduce the mean global temperature in the year 2100 by less than 0.02 degrees Celsius. Yes, you read that correctly: it’s all cost, no benefits. Why the US impales itself on the altar of ignorance, other countries will continue to burn fossil fuels unabated. Developing nations want the prosperity and quality of life that comes from the utilization of fossil fuels. Increases in life expectancy, literacy, education, and prosperity are all correlated with energy use. By the year 2050, the combined population of China and India will be seven times larger than the US. While carbon dioxide emissions from China are rapidly growing, no one seems to have noticed that they’re on the decline in the US. Ironically, this is solely attributable to the petroleum industry. The technology of hydraulic fracturing has brought vast new reserves of natural gas into play and the substitution of gas for coal yields lower carbon dioxide emissions. While Obama tries to reverse the Industrial Revolution, scientists and engineers in the petroleum industry continue to sustain the US economy by providing abundant and inexpensive energy. Dr. Deming [send him mail] is professor of arts and sciences at the University of Oklahoma, and the author of “Black & White: Politically Incorrect Essays on Politics, Culture, Science, Religion, Energy, and Environment” (CreateSpace, 2011). Disclaimer: The views expressed in this article and these videos are the sole responsibility of the author(s) and do not necessarily reflect those of CanadaNewsLibre. The contents of this article and these videos are of sole responsibility of the author(s). CanadaNewsLibre will not be responsible or liable for any inaccurate or incorrect statements. The CNL grants permission to cross-post original CanadaNewsLibre articles and videos on community internet sites as long as the text & title are not modified. The source and the author’s copyright must be displayed. canadanewslibre.com may contain copyrighted material the use of which has not always been specifically authorized by the copyright owner. We are making such material available to our readers under the provisions of “fair use” in an effort to advance a better understanding of political, economic and social issues. The material on this site is distributed without profit to those who have expressed a prior interest in receiving it for research and educational purposes. If you wish to use copyrighted material for purposes other than “fair use” you must request permission from the copyright owner. 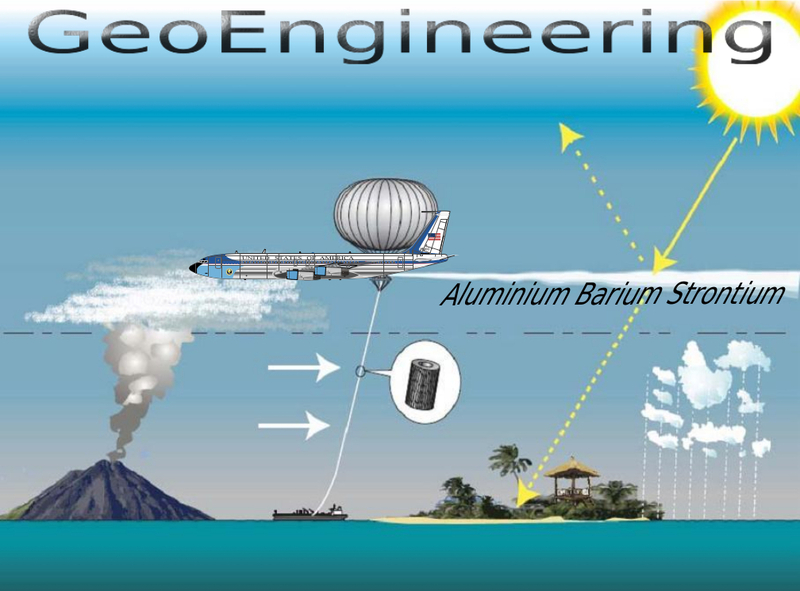 This entry was posted in Alternative Health, Science and Technology and tagged aluminium, barium, climate change, geoengineering, global warming, hysteria, small particles, stratosphere by cnlib. Bookmark the permalink.